Email marketing is a powerful sales and marketing tool as it not only allows you to reach out to a larger audience but it has the ability to engage with them individually. Linked to a blog on your website, it’s even more powerful as it drives traffic to your site. An email marketing campaign using Electronic Direct Mail (EDM), eNewsletter or a collaboration tool can have many benefits. It can be targeted to generate sales, position you as a leader in the industry or just keep clients engaged in your company. Based on research, it is a cost efficient and effective way of reaching targeted audiences. However, because of this, it is now used extensively. So doing it well is important. One Digital can assist in building effective email campaigns that deliver the highest return. We will integrate this with other marketing activities and apply our experience in consumer behaviour to maximise click throughs and the right call to action. 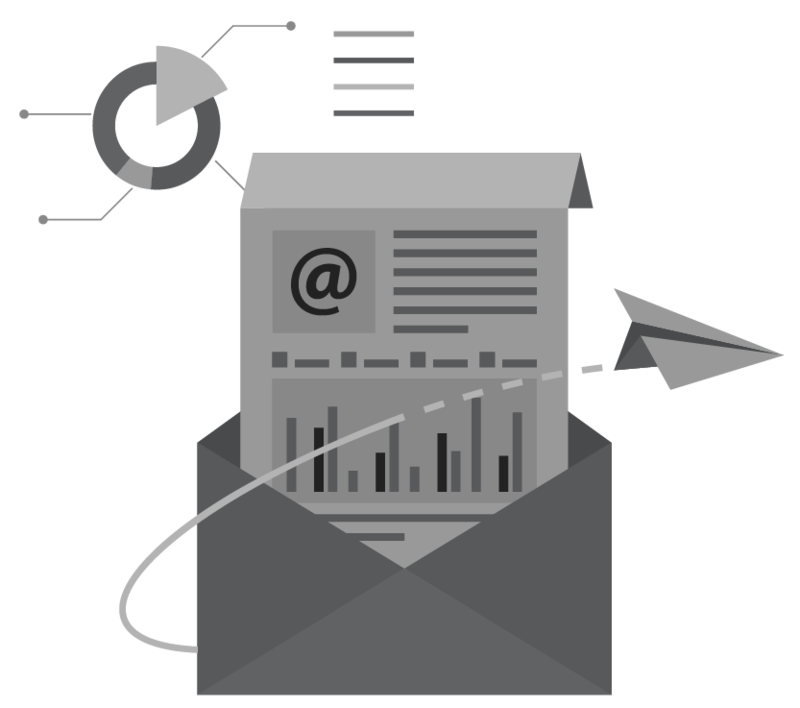 management and tracking the success of each email marketing campaigns. As pragmatic marketers, we will recommend cost effective email services and help build great campaigns that will build traffic and business.